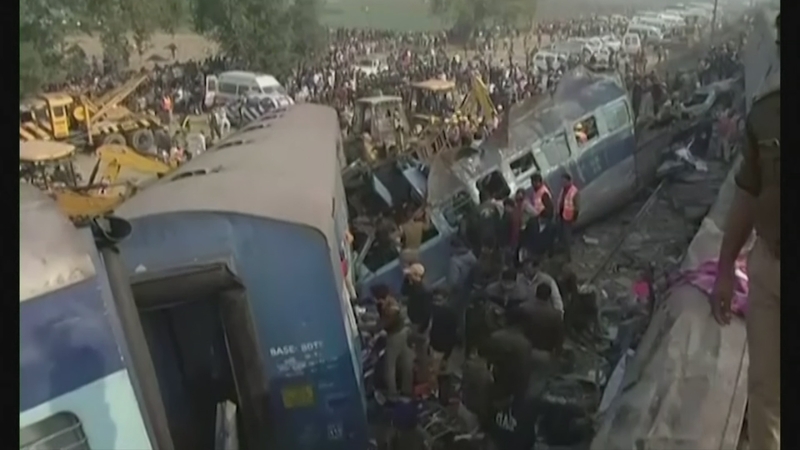 More than 100 people have been killed and hundreds more injured after a passenger train derailed in Northern India. Rescuers are struggling to find and free survivors in the wreckage of the crowded passenger train. Assed Baig reports.